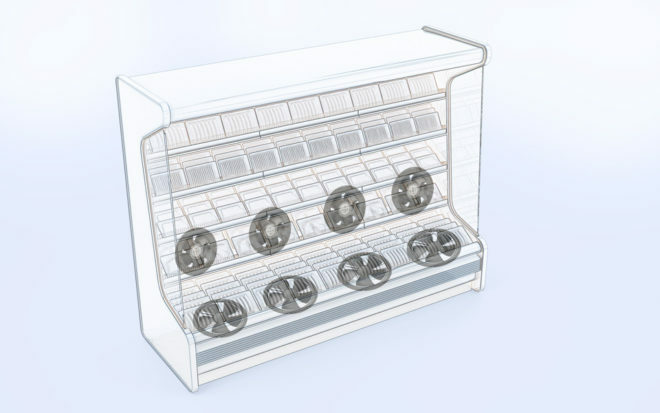 The fans used in refrigerated display cases and bottle coolers in the commercial food sector have very long operating times; and so they offer great potential for saving energy. Thanks to their high efficiency levels, EC fans have set new standards in this field. Versions conforming to the European standard EN 60335-2-89 are even suitable for applications involving the use of flammable refrigerants such as R290 (propane), which can form explosive mixtures with air in the event of malfunctioning. What’s more, their intelligent networking capability simplifies servicing and maintenance. Fans have become indispensable features of supermarkets, as the compact refrigerated cabinets for medium and low temperature refrigeration systems could not operate without them. On the one hand the fans ensure that the air circulates around the device, thus keeping all the stored products equally cool. In plug-in refrigerated cabinets they are also used to dissipate heat to the surroundings, or to the central condenser in the case of so-called remote systems. Up until a few years ago, shaded-pole motors were the standard method of driving the fans. There were good reasons for this: Such motors are cheap to make, robust and long-lasting. Their low level of efficiency of just about 20% however means that they are no longer acceptable these days. They have a high current consumption and also produce waste heat that has to be dissipated from the refrigerated cabinet. And so the use of shaded-pole motors is now generally restricted to just a few niche applications. Picture 3: Tangential blowers, that likewise operate with EC motors and have a large air distribution area, are a further interesting option for refrigerated cabinet applications. Given the energy savings that can be achieved, it is even well worth converting older refrigerated cabinets. ebm-papst can offer the energy-saving NiQ motor for this purpose (picture 4). Depending on the ambient conditions, the service life of the NiQ motor may exceed 40,000 hours. It is mechanically compatible with existing shaded-pole motors, has a high efficiency level of up to 70%, and its identical installation dimensions permit simple 1:1 replacement. 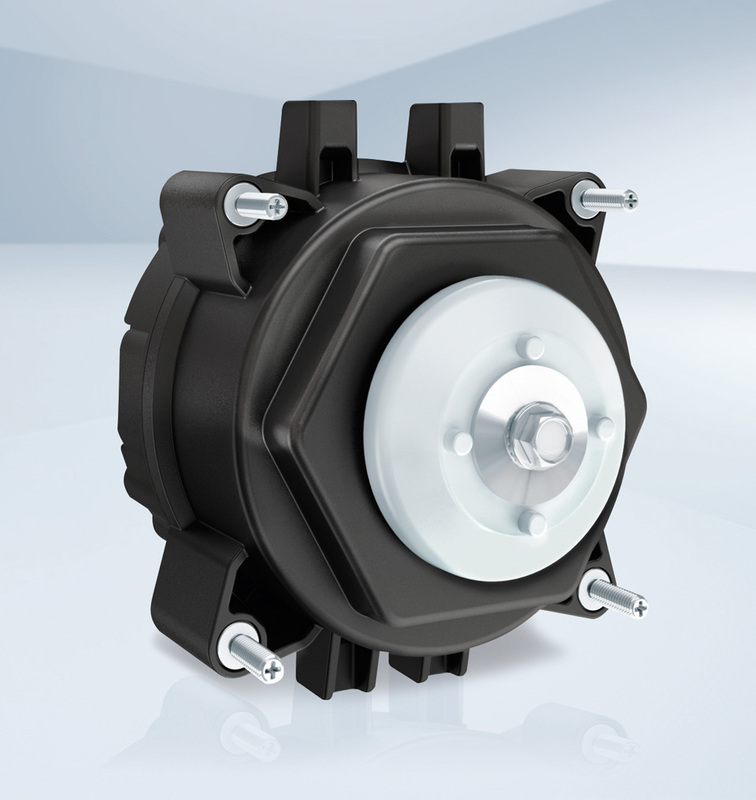 Axial impellers with a diameter of 154 to 254 mm can also be fitted on the NiQ motor to provide a power-saving solution. Networking via the serial interface for communication via MODBUS-RTU is helpful in this case. It permits the implementation of numerous surveillance, control and regulation functions in real time by way of remote monitoring. For instance, it is possible to monitor motor operating times with regard to preventive maintenance and to simply localize the fan concerned when service work is needed. Networking via the MODBUS-RTU communication protocol also permits rapid adaptation to changes in operating conditions, for example the cooling temperature can be attained more quickly after defrosting cycles by increasing the fan speed. A further major issue with regard to refrigerated cabinets is the refrigerant used. Modern refrigerants must be safe for the environment and have a low global warming potential, whilst at the same time providing good refrigeration performance. Since January 1, 2015 this has been regulated by the directive (EU) 517/2014, also known as the fluorinated gas directive. Alongside ammonia and CO2, natural refrigerants such as isobutane, propane and propene are thus becoming increasingly popular as an ecological alternative to (partially) halogenated refrigerants. In the event of malfunctioning, the non-toxic hydrocarbons can however form readily explosive mixtures with air. Motors and complete systems from ebm-papst are made to satisfy the requirements of the European standard EN 60335-2-89 (household appliance standard) and so can safely be used for cooling applications in this sector. This is fully adequate for the majority of refrigerated display cases, as their cooling circuits work with the 150 g maximum refrigerant quantity set down by the standard. Using ATEX components makes no commercial sense in such cases. It is also not sufficient to just use a motor with an ATEX label. The entire fan must have the appropriate approval and the operator has to define an explosion hazard area. The latter is often particularly difficult to implement in supermarkets. In the case of high-capacity refrigeration circuits it may therefore be appropriate to split up the circuits. 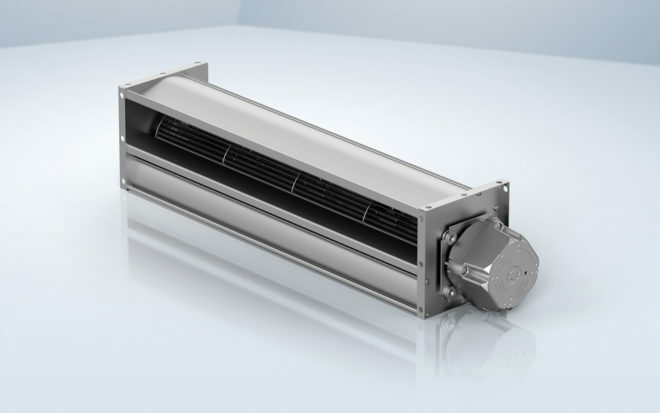 If that is not feasible, another practical energy-saving alternative does exist with which users can be on the safe side even with refrigerant quantities exceeding 150 g: ebm-papst can also offer fans with an energy-saving motor with ATEX approval II 3G nA IIA T4. 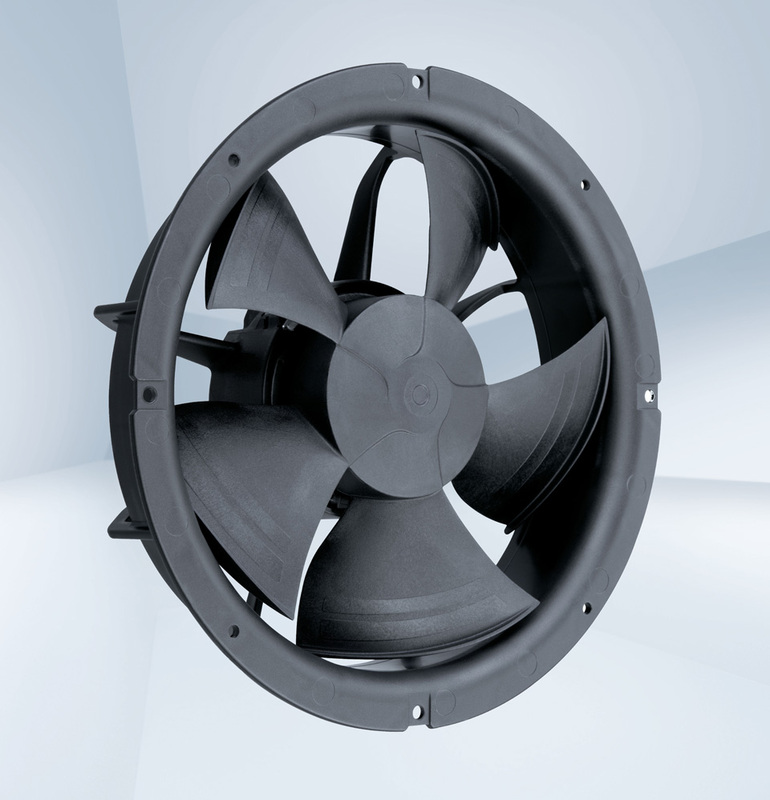 The fans are conform to the ATEX standard EN 60079 and are therefore also authorized for use in large refrigerated display cases as well as composite and cascade systems.